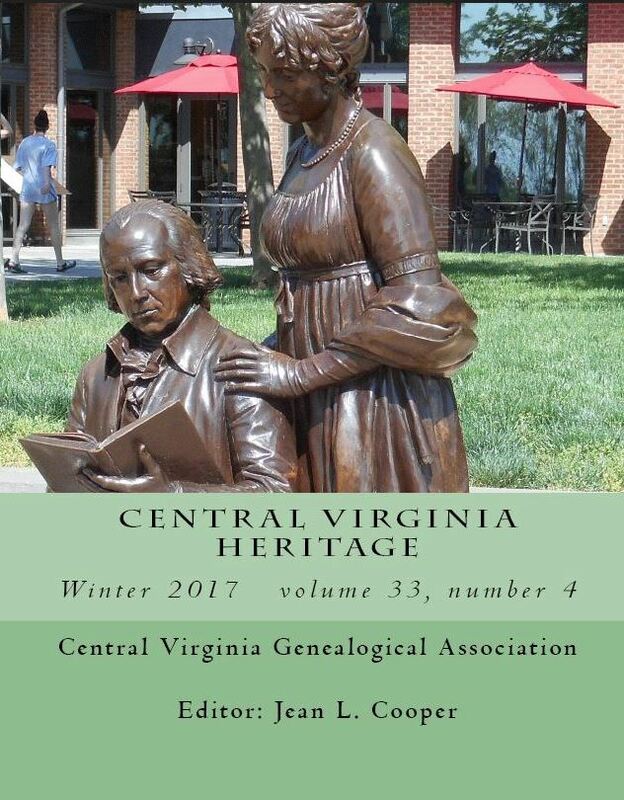 Winter 2017 Central Virginia Heritage Available! For those who are not members, we offer the opportunity to purchase a printed copy of each issue. The Winter 2017 issue is available from https://www.amazon.com/Central-Virginia-Heritage-Winter-2017/dp/1981563415 for $6.50. Click on the Amazon.com link above or search for “Central Virginia Heritage” on Amazon.com. This entry was posted in Newsletter by cvgaboard. Bookmark the permalink.